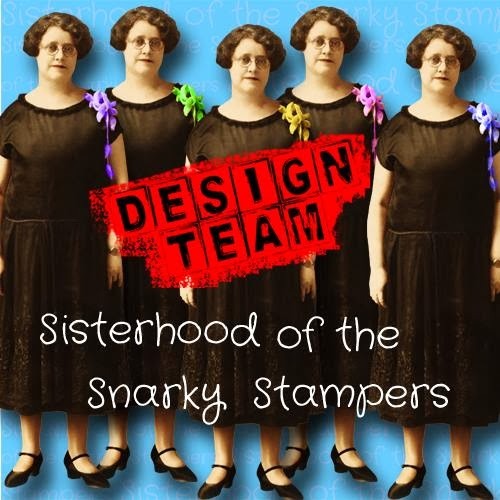 Thanks for coming to check out the latest challenge from Edna and the sisterhood of snarky stampers. If you are thinking that Edna is looking a little off...you might be right. Did you know that bagel head is a REAL thing??? I had no idea until I was recently enlightened by SISTER LEE. 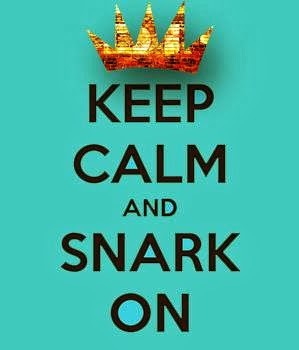 Now that you are back from googling that...back to the challenge. This time around O is for Outrageous...interpret that as you may. 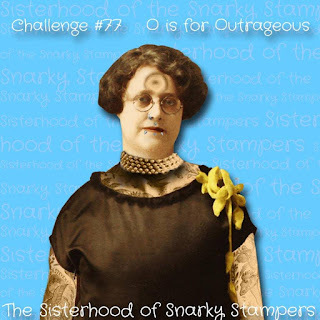 For most of the sisterhood, this challenge lets us let fly with our snark and rudeness, although some of us (ME!!!) don't need much encouragement. I don't always love the cards I make, but when I do, I make another one...so here it is (although I still like the dude one better)! 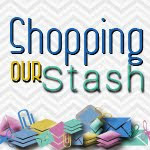 While you are there please share some crafty love with the rest of the sisterhood and our Queen of Snark / Guest Designer. 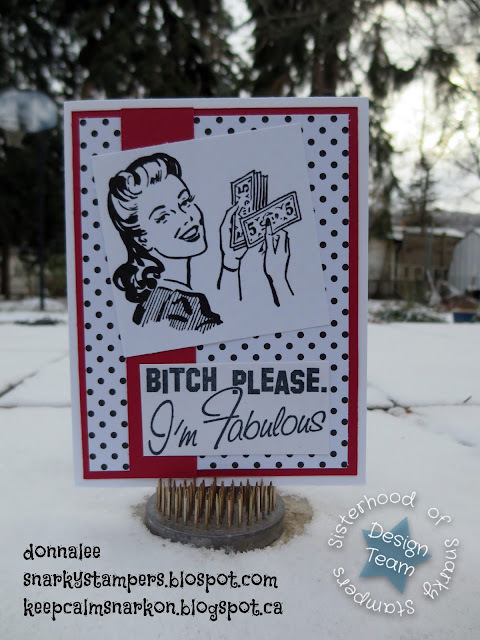 Great retro images, awesome cards love your design. Woo hoo! A two-for! And both so insanely brilliant! Love these! Great job on the cards I love the colors and placement. One for girls One for the guys.. Retro Is back Baby! 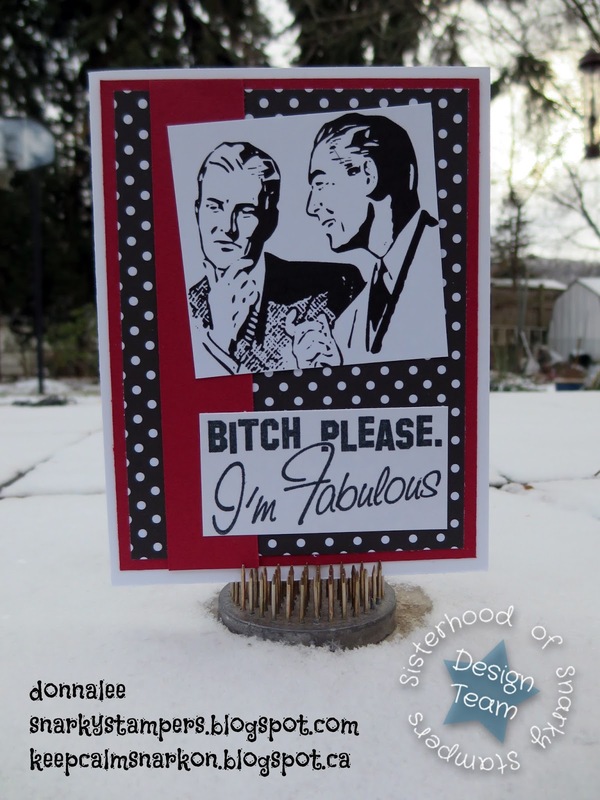 Yep, the dude card has just that extra bit of outrageousness to make it special. Both cards are totally awesome, though!